gives an object a human quality. For example: The raindrops danced along the roof. 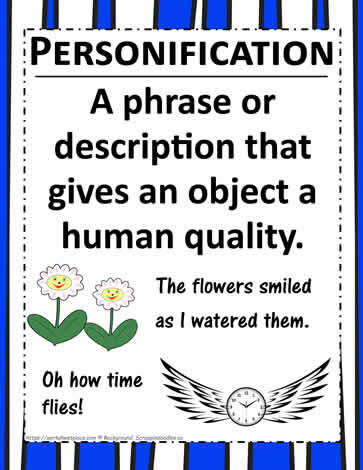 A personification poster.